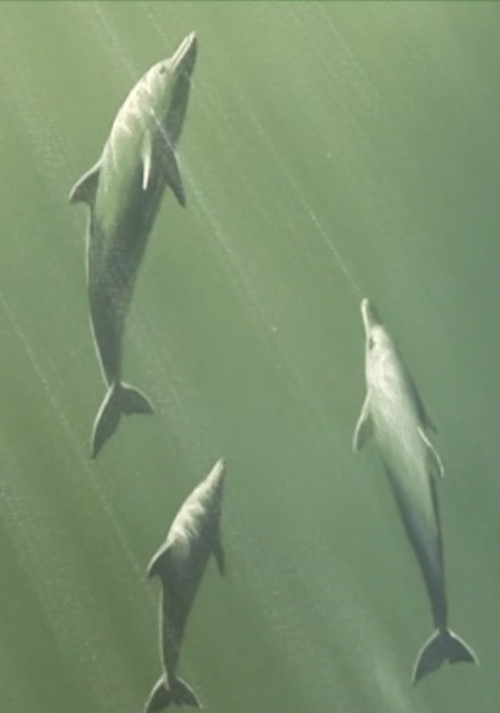 Dolphin Family - Underwater V-Log. 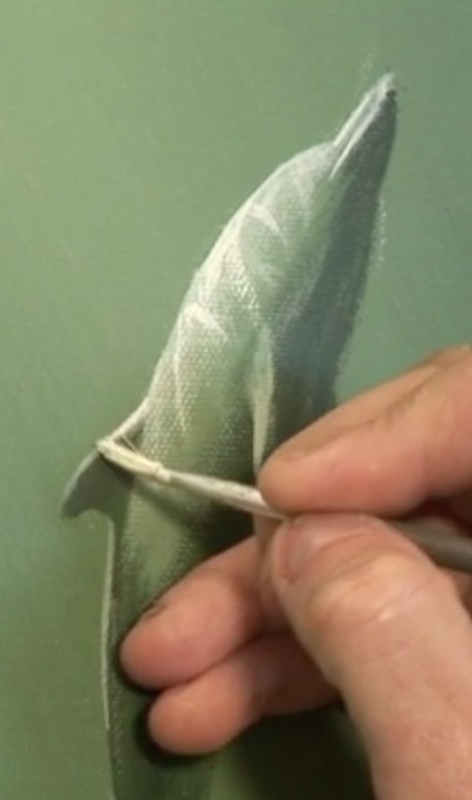 Want to paint a soft, moody, endearing family of dolphins underwater? 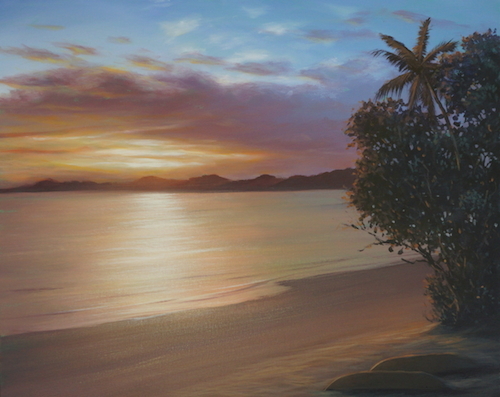 Learn how to paint this compelling scene in just 20 minutes! 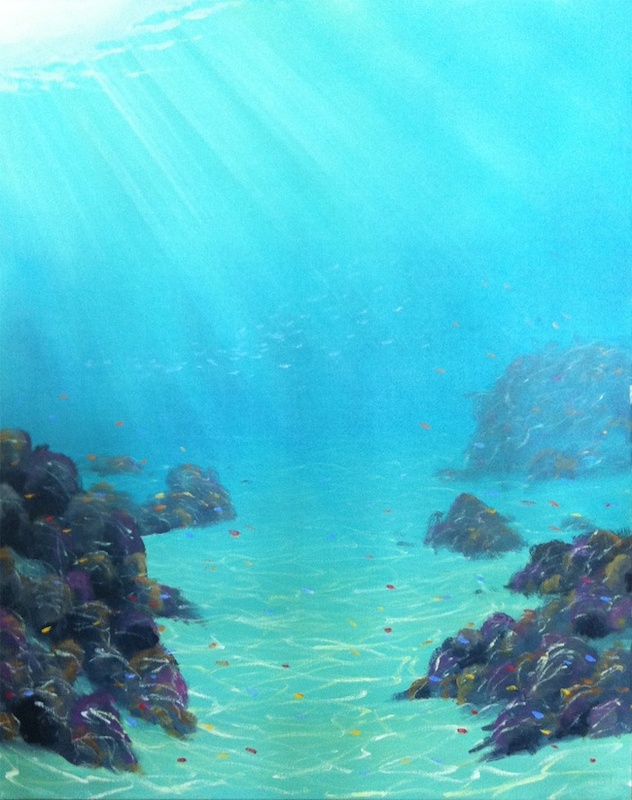 Use a limited palette to create a subtle and moody underwater painting. Wet-on-wet Technique - pushing and pulling wet paint around with subtlety. Discover how light behaves on 3 dimensional objects underwater. Using glazes to magic effect. Create mood with subtle shifts in tone. Create interest, movement and dimension using light play techniques. Create dimension with sensitivity to the light source. 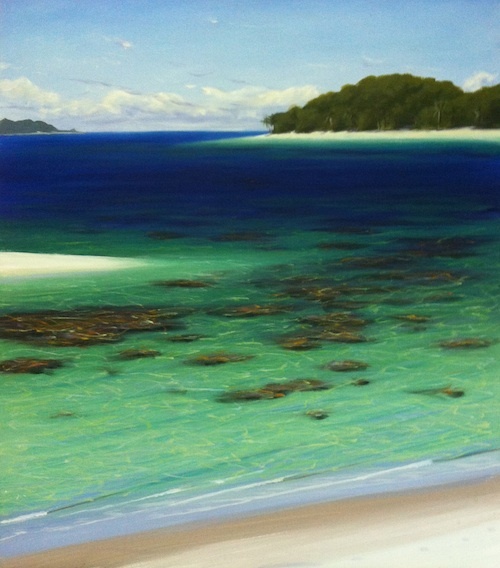 Get amazing contrast with highlights and give your dolphins instant realism. 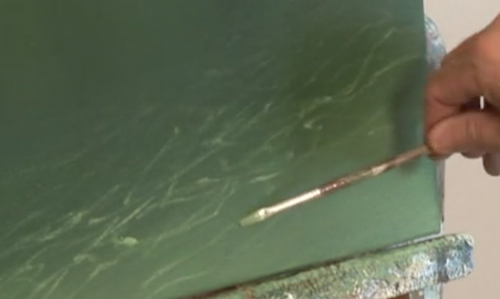 Create the illusion of the surface of the water from below. Create rays and even more dimension using a round, and dry brush technique. 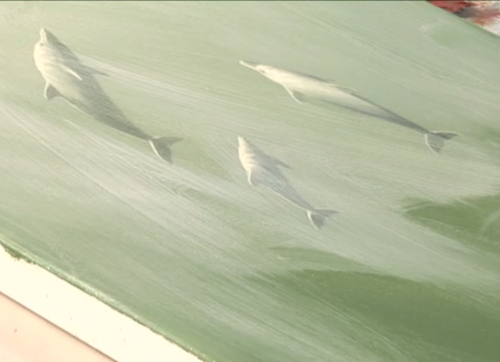 Then, take what you've learnt and create your own beautiful, soft & moody underwater dolphin paintings! 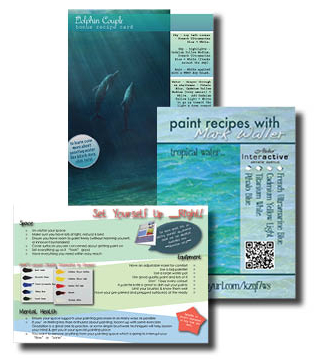 PDF - Dolphin Family - Underwater "Recipe"
PDF - Tropical Water "Recipe Card"
M4V Video file (MPEG4). Playable on QuickTime Player (or your favourite media player). To get the latest version of QuickTime Player for your Mac or PC, click here. On purchase of your V-Log “Dolphin Family”, you will receive via email (the one you have linked to your Paypal account) links which are specific to your computer. One for your video file to download, one for your bonus PDF(s) file, and one for your video streaming option (this option includes a password). Happy Painting! Thanks So Much! I have just downloaded and watched this new v-log and can't wait to paint it. I love the colour of the water and the dolphins look so serene. My only problem is that I have an inkling it won't be anywhere as easy to paint as Mark makes it look!! Thank you for another wonderful tutorial that is so easy to follow. I really enjoyed this tutorial. I've learnt so much about shaping objects, and using colour and shades underwater. I love how the highlights make the dolphins really pop out and I've already started my own painting. I'm also looking forward to trying the same scene using a different colour range. AND.....If you really enjoyed these downloadable tutorials and haven't yet checked out our other downloadable tutorial DVDs, you should do this immediately!! !